To secure a booking - a £50 non refundable deposit which comes off the balance. The balance to be paid 6 weeks before the start of your holiday. Security Bonds - A £100 refundable security bond which is returned within 3 days of leaving the caravan providing the caravan is left as found. Fill out the no obligation enquiry form for a future quote and submit your enquiry. 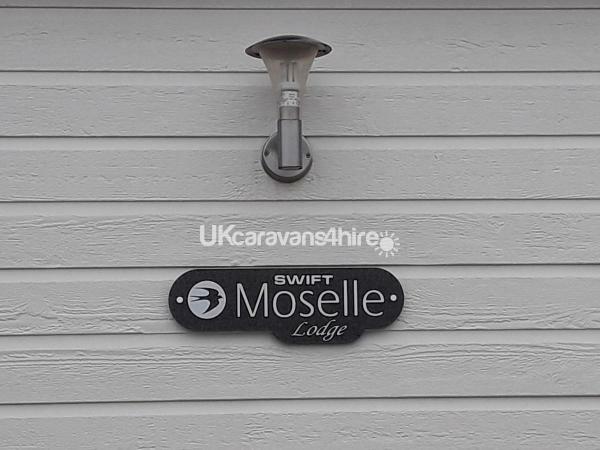 Our Swift Moselle Lodge with it's home from home comfort and luxury provide the perfect holiday experience. 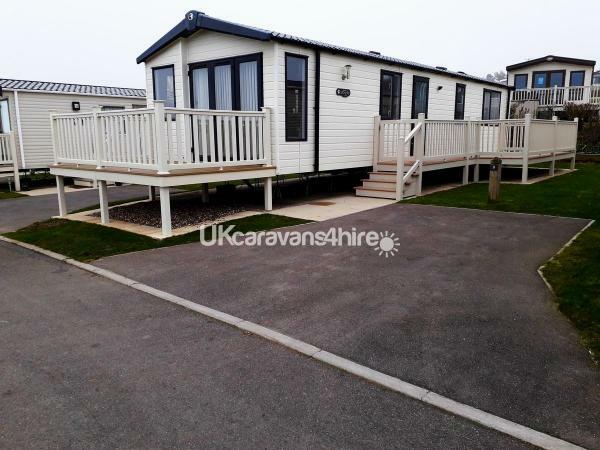 This holiday home is a top of the range model at Reighton Sands Holiday Park. A new feature this year is free unlimited WIFI in the holiday home, ideal for checking your emails, browsing the internet and staying connected on holiday. Our free unlimited wifi has become a very popular feature this year and our feedback indicates lots of our guests prefer the choice of staying home evenings rather than using the Park wifi in the entertainment complex. This amazing Holiday Home on Maple Court is nestled in a quiet neighbourhood just a short walk to the Park amenities but far enough away not to be disturbed by the entertainment when an early night is required. We provide 3, 4 and 7 night holidays from £50 per night. 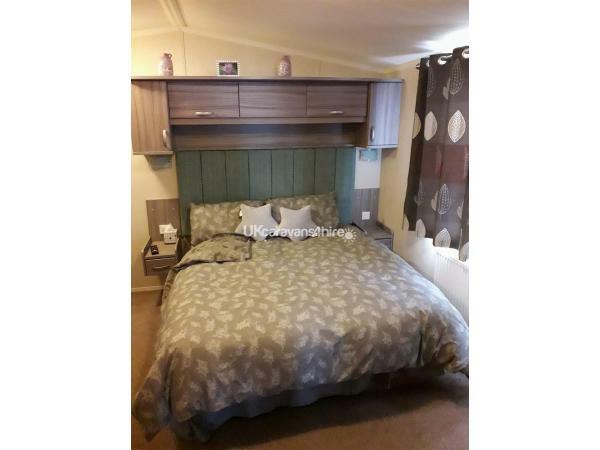 A £50 deposit secures your 2019 holiday at Reighton Sands, Tell us your preferred dates and we do the rest. Brows our availability calendar and grab a great holiday deal at the seaside in this spacious Swift Moselle Lodge. Please check out the Holiday Park facilities and what our guests have to say below. + 1x Master bedroom with king size bed, bedding included, 32” TV, en-suite bathroom with bath and shower. 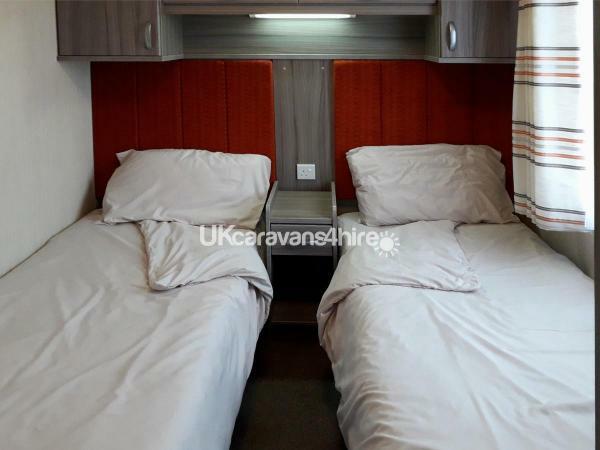 + 1x Twin bedroom with 2 single beds and bedding included. 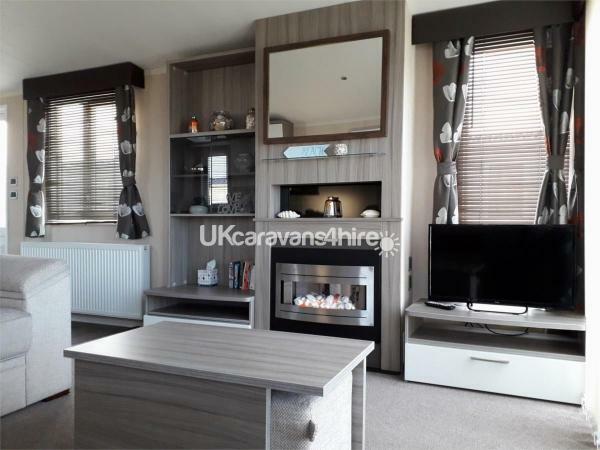 + Pull out double sofa-bed in the lounge with bedding included. 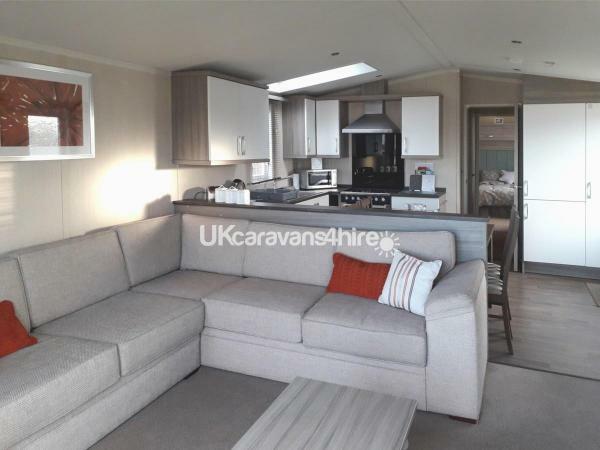 + Very spacious - 40ft in length & 13ft wide. + The en-suite bathroom has a bath, shower, sink unit & toilet. + The family shower room has a shower, sink unit, & toilet. + Central heating in every room. + Double glazed and residential insulation. + Electric fire in the lounge. 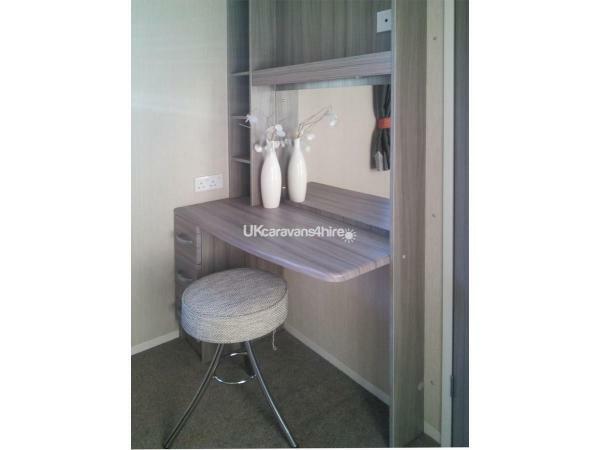 + Flat screen TV with Freeview & DVD player. 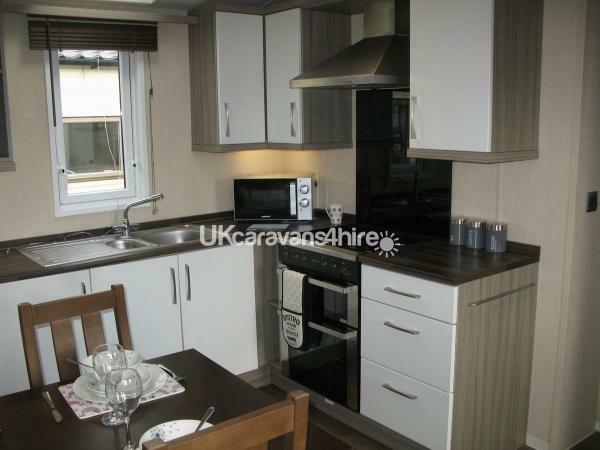 + Modern fully equipped kitchen. + Equipped with dishwasher & washing machine. + Laminate wood effect flooring in kitchen & bathrooms. + French windows lead out to secure 8 foot front veranda. + Outdoor seating on both decks. + Private parking bay at the door. For your safety and peace of mind there is a smoke alarm, carbon monoxide detector, fire extinguisher and a current gas safety certificate in place. All electrical items are PAT tested up to date and gas appliances tested annually. Holidays from £50 per night. 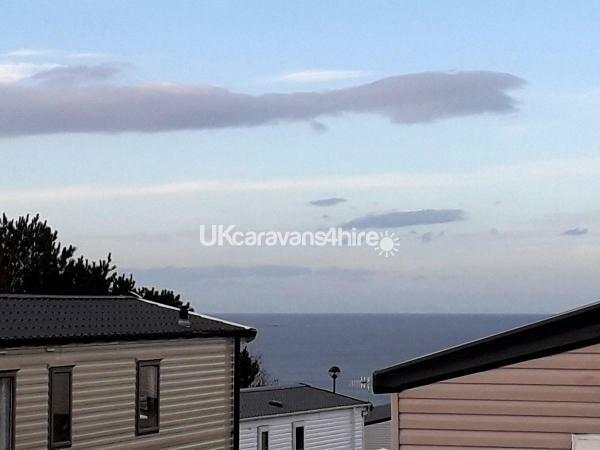 A £50 deposit secures your 2019 holiday with nothing more to pay until 6 weeks before your break away at the seaside. Payment plans available. Please fill out the no obligation enquiry form. We hope to hear from you soon! Additional Info: Absolutely perfect for family holidays with a range of family friendly activities available on the Park. This includes a heated indoor swimming pool, outdoor lazy river, nature trails, archery, fencing, pool, darts and a challenging 9-hole golf course. Also on site, a full restaurant and bar and a fantastic ShowBar where you can enjoy Bingo and live shows nightly in the summer holidays. There is a jam packed schedule of fun for holiday makers to take part in, both in the pool and on the Park. Adults are catered for just as much as kids to help you unwind. The Hawkwood Bar and Restaurant caters for varying food and drink tastes and also the ShowBar which has dedicated entertainment programmes for both kids and adults. The children’s schedule is overseen by Havens very own famous Fun Stars. Meet the seaside squad too, Rory the Tiger, Bradley, Anxious the Elephant, Greedy, Ned and Polly and have your picture taken with them, that includes the kids too! Also Haven's in-house team organises activities such as bingo, quizzes and karaoke as well as inviting in bands, vocalists, magicians and comedians to keep you entertained every night of the week. Spotlessy clean beautiful caravan. Lovely location. Great communication with Joan. Would definitely recommend and will be booking again. Hello Carol & David. Thank you for your stay with us and for sharing your experience with other holiday makers. We were pleased to read your positive comments and we look forward to welcoming you back for a future holiday with us. We decided to book a last minute break and book with a private owner this time due to bad experiences booking direct with Haven and we’re glad we did! 100% better service and value for money! 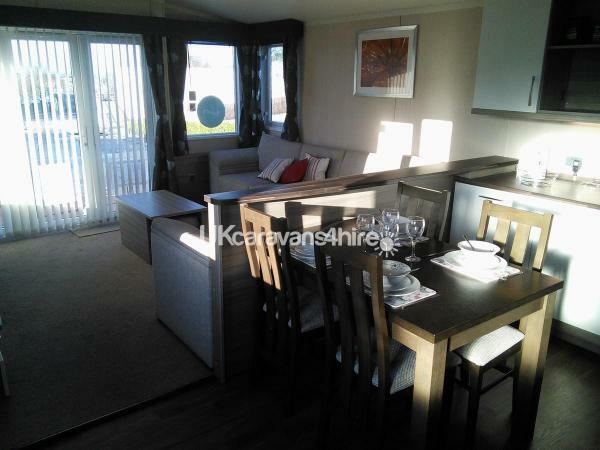 The caravan was absolutely immaculate, in a nice quiet location and less then a 5 minute walk from all facilities. I highly recommend booking with Joan and Terry, they made us feel very welcome and answered all questions we had as we had never booked privately before. We shall definitely be returning next summer for another holiday, maybe even a week next time! Thanks again, it was a brilliant weekend ???? We were delighted with the quality of the experiences we had whilst staying here - from booking through to receiving the deposit back, everything was first rate. As inexperienced caravanners, worries about the stay were blown away as we opened the door. We felt at home from the minute we arrived. The owners were great and clearly do everything they can to make your stay comfortable. As holiday experiences go, this will encourage us to make a speedy return. Many thanks. 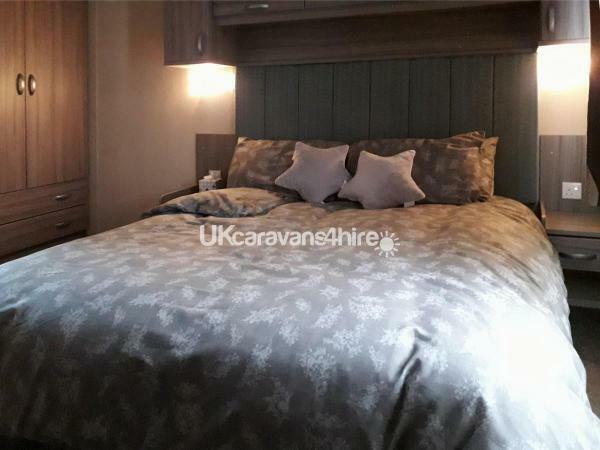 Beautiful caravan, good communication from the owners and very generous of them to offer affordable holidays. Thank you so much Pauline, happy you enjoyed your stay. Thank you very much absoulte beautiful caravan enjoyed the weekend. Thank you very much Lindsey & Ryan, we are so pleased you enjoyed your weekend.